Thanks to government tax incentives, leased solar panels are being installed on homes at a rapid pace. This is great for our energy environment, but presents increased real estate E&O claims risks for real estate agents and sellers alike. To reduce your risk of a real estate lawsuit when selling a home with leased solar panels, you need to understand where the risk lies during the transaction. While the solar panel industry reports that solar panels add $15,000 on average to home value, they can still end up being a deterrent for some buyers. Concerns over the length of the lease (up to twenty years in some cases) and the chance that the existing panels will end up becoming outdated or obsolete technology may arise. Others buyers don’t want to take on the lease payment or do not like the idea of having to go through another credit application process. Buyers also have concerns over long-term solar panel maintenance expenses or roof repair complications. With this in mind, you will need to advise your sellers on reviewing and disclosing all terms and fees associated with the transfer of the solar panel lease agreement. A copy of the lease agreement will need to be provided to prospective buyers as well. To avoid a real estate lawsuit, you and your sellers will need to understand what options are available when selling their home with leased solar panels. Any questions you ask or comments you make about your seller’s options should be in writing, such as an email, so that a cohesive paper trail can be established regarding the leased solar panels. Likewise, the detailed documentation of disclosures to buyers needs to be kept. The seller buys out the remainder of the lease: This means they would then own the solar panels as part of the house and potential buyers would not have to take on the lease contract or buy it out themselves as a condition of the sale. This simplifies the sale. The downside is the cost to the seller could be high, more than they want to or could afford up front. Some buyouts can cost as much as $20,000. Transfer the lease to the new owners: This will require the agreement of the buyers, the sellers, and the company leasing the solar panels. Solar panel leases vary. Some companies make it easy for their customers to buyout the lease. Others charge a fee for prematurely buying out the lease. Additionally, due to government credits, some leases are tied to the property tax payments and must be dealt with through the city or county offices. 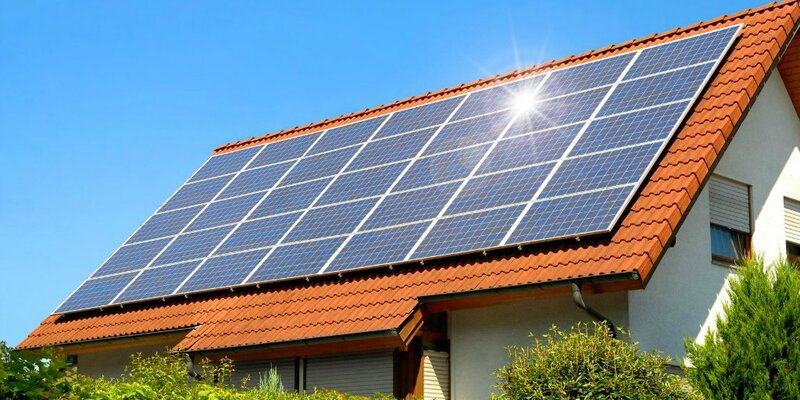 Before you list the home, have your sellers evaluate the options with their solar panel lease to minimize the hassle of transfer or buyout to them or potential buyers. After the seller has all of the facts, you can work with them to decide whether or not to buyout the panels or offer to transfer the lease to the new owners. Regardless of the decision your seller makes, it must be mentioned in the listing agreement, listing marketing (including MLS), and disclosures. When working with a listing that has leased solar panels, you may run into PACE (Property Assessed Clean Energy legislation) and HERO. These government-backed programs allow property owners to finance green energy and energy efficient upgrades. Upon the sale of a property with leased solar panels that have been financed through PACE or HERO, the assessment on the property will likely transfer from the buyer to the seller. However, each financing contact needs to be treated as unique and must be carefully read and fully understood by you and your client—do not assume anything. If you have questions or concerns, have the CRES ClaimPrevent® Legal Advisory Services review the solar panel lease contract with you prior to closing. If your sellers ‘purchased’ their solar panels as opposed to leasing them, they will need to consider the type of financing they used when they bought the panels. If it is an unsecured loan, your sellers can sell their property with the solar panels and then continue to pay the loan off. If it is a secured loan, as in a home equity line of credit or home equity loan, your sellers will have the remaining balance paid off through proceeds of the sale through escrow. Listing Agreement: The listing agent should confirm the existence of any solar equipment with the seller and inquire if the equipment is owned free and clear or subject to a lease. The listing agreement should confirm this status. MLS: It is prudent to consider how you will address the system in the MLS so prospective buyers are aware of this issue. Purchase and Sale Documents: The Purchase Agreement, or more likely a Counter-Offer, needs to include appropriate language regarding the existence of a solar power lease, transfer fees if any, lease assumption by the buyer and release of the seller from further liability to the system provider after the close of escrow. Have you sold a home with leased solar panels? How did you and your seller handle the transfer with the buyer? Tell us your story in the comments below!